In High School, Hines Bending’s founder, James “Jim” Hynes, worked at his father’s Standard Oil (now Amoco) service station where he learned a lot about cars. More importantly, he learned how to service customers, earning their respect and setting what he would later use as “best practices” to achieve extraordinarily high customer satisfaction. Since 1975, hundreds of customers have purchased a Hines Bending Machine. As their business or needs grew, some customers purchased more than one bender. The success that many of our customers have enjoyed is detailed in the Industries section. There is no doubt that their voice has helped to build the Hines Bending System brand, the undisputed global leader in pipe and tube bending machines. JOHN HYNES SERVED DURING THE KOREAN WAR IN THE U.S. NAVY. WHEN HE RETURNED HOME, HE WOULD EMPLOY U.S. SERVICEMAN ON HIS WORKFORCE. 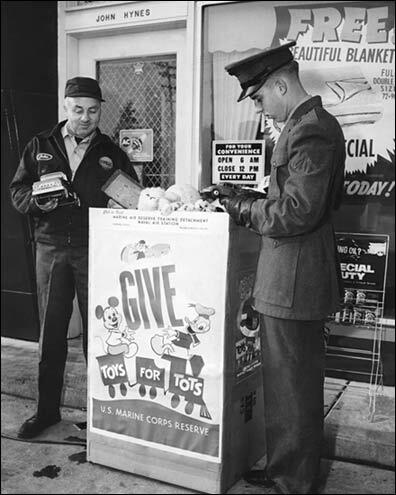 AND AS AN ADDED WAY TO GIVE THANKS, HE WOULD HELP RUN THE TOYS FOR TOTS DRIVE FOR THE LOCAL MARINE UNIT. HYNES WAS AN ALDERMAN AT HIS CHURCH AND DROVE A SCHOOL BUS WITHOUT PAY EACH MORNING. HIS SERVICE STATION WAS THE FAVORITE PLACE TO PARK BUSES AND GATHER FOR COFFEE.